Great care and learning, ages 6 weeks to 12 years. Visit your local school. Summer Camp. Nurturing Care. Specialized Programs. Infants to School Age. School-Readiness Tools. Proven Curriculum. 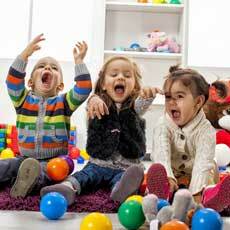 Types: Daycare, Pre-K, Preschool, School Age Programs, Early Education, Enrichment Classes. House of Bounce Grand RE Opening!! !